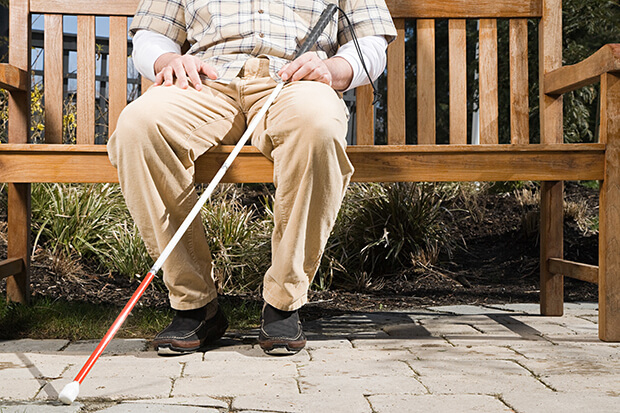 Diabetic retinopathy is a common complication of having diabetes that leads to blindness. About 2.5 million people worldwide are already clinically blind because of diabetic retinopathy. It is the single major threat to eyesight for people as they go through middle age. And according to predictions, the number of people with diabetic retinopathy is going to grow from 126.6 million in 2010 to 191.0 million by 2030. Fortunately, you don’t have to go blind. Here are several nutrients you need to be taking if you’re a diabetic. These nutrients can help fight diabetes and protect your eyesight at the same time. Diabetic retinopathy is caused by ever increasing complications from bleeding, inflammation, and swelling in the retina. The retina is the part of the eye that allows us to see. The reason all of these issues begin to occur is due to a condition called neovascularization. Neovascularization is new blood vessels that grow into the retina to bring a blood supply to starving cells. While that sounds good, it's not. The new vessels are fragile and can break and bleed easily. That’s the underlying process of diabetic retinopathy (it’s also common in wet macular degeneration – the leading cause of blindness worldwide). Like wet macular degeneration (WMD), diabetic retinopathy is very difficult to treat. And neither condition happens right away. They’re both progressive, and the problems start to show up two to five years after the diagnosis of diabetes has been made. The usual approach is to focus on controlling blood sugar levels. Later, when it starts to affect vision, doctors can use surgery, lasers, and different drugs injected directly into the eyes to help. But, according to one article, “These managements are far from being clinically satisfying.” The biggest problem with these approaches is that they are so dangerous that they are only used when the condition becomes really bad. For patients in the early stages, there is no effective conventional treatment. So, with that in mind, it’s important we find ways to stop the progression naturally. If we can simply stop their progression, we've succeeded. And one nutrient I’ve told you a great deal about can help. The nutrient is vitamin D, which you probably know is a must for significantly reducing your risk of getting the flu. It also works wonders for your bones. But we've now discovered that vitamin D is absolutely vital for protecting your eyesight. And vitamin D does more than just stop the progress of retinopathy and WMD. It actually can reduce abnormal retinal endothelial cell proliferation and neovascularization. That's just great news if you have one of these eye diseases. I continue to stand by my recommendation to take 5,000 IU of vitamin D3 per day. Take this amount in both summer and winter alike. There's no risk and the upside is outstanding, especially if you have eye problems. And if you don't have eye problems, this could keep you from ever having them. While vitamin D may stop your eye disease all by itself, I never recommend stopping with just one nutrient. And researchers out of Australia have discovered another way to protect your eyes from diabetic retinopathy. In this study, the researchers followed 111 subjects with adult diabetes. They compared the participants' levels of certain plant phytonutrients. The flavonoids included lycopene, lutein/zeaxanthin, and beta-carotene type (pro-vitamin A) compounds. Here's what they found. Those with retinopathy had significantly lower levels of beta-carotene and similar compounds compared to those without eye degeneration. However, they also found that lycopene and lutein/zeaxanthin protect against retinopathy far better than pro-vitamin-A type nutrients. That means they all work together to protect your eyes. Once again, we see how the right food can stop most disease. If you already have degeneration or you just cannot eat enough good foods, then a supplement might be in order for you. I don't recommend the supplements put out by Pharma companies. They have inferior formulations, in my opinion, as well as toxic coloring agents and fillers. So far, the nutrients I’ve told you about are fairly common. You can find many eye formulations with them included. But this last nutrient isn’t quite as common. In fact, it’s unlikely your eye doctor has ever heard of it. But if your doctor says that you have the beginnings of diabetic retinopathy, you need to know about it. That’s because a recent study shows that there is an herbal treatment that just might save your vision. Researchers wondered if there might be a safe way to stop the progression of diabetic retinopathy early in the game, before it caused vision impairment. To that end, they looked to traditional Chinese medicine. And one particular herb that has been used for centuries to treat the complications of diabetes stood out - radix astragali, also known as astragalus and huang qi. Due to its extensive application for diabetes in traditional Chinese medicine, the researchers decided to do a meta study to explore astragalus and its effectiveness in diabetic retinopathy. A meta study is a study that looks at the conclusions from other studies to see if there is a pattern of effectiveness. In fact, the data showed that the visual scores of the men and women taking astragalus were more than twice as good as those who didn’t. But that is not all they found. They also discovered that their visual acuity was not the only thing that was much better. When doctors examined the retina of the patients taking astragalus, they discovered that the retinas had significantly less damage. Additionally, the red blood cell aggravation index or RAI was better. Diabetics have problems with the function of their red blood cells. And because of this, their RAI is significantly decreased. This is one of the factors that leads to diabetic retinopathy. The fact that the RAI was improved was one of the reasons that their vision was better. Typical doses of radix astragali root are in the order of 1,200-2,400 mg per day. I have been giving myself and all of my patients my Super Immune QuickStart powder for decades. It contains 150 mg of astragalus root extract in every scoop. Maybe that’s one of the reasons why my diabetic patients virtually never develop diabetic retinopathy. Finally, make sure you have regular eye exams. It could save your eyesight – and your life. That’s because it’s quite possible your eye doctor will know your risk of diabetes long before your family doctor does. That’s because the beginnings of retinopathy can develop even before other diabetic symptoms. And a new study shows that the eye disease now develops before diabetes. That means it’s an accurate predictor of future diabetes. Richard Hamman, MD of the University of Colorado found that retinopathy is common in patients just before they get diabetes. This is true even when lab markers don’t indicate diabetes. The risk was due to impaired glucose tolerance. He also found that high triglycerides were another major risk factor. And for diabetics, Dr. Hamman found that eye problems can appear far earlier than was previously thought. Just 6-12 months after diabetes onset, almost 13% of his study group had retinopathy. It makes sense that high triglycerides are a risk factor. Triglycerides are blood fats that elevate when you eat refined carbs. Why? Because your body doesn't want all the sugar from the carbs in your bloodstream. It converts the excess sugar into fat. High triglycerides are usually a marker that you’re eating more starches than your body can safely handle. In my opinion, high triglycerides are a marker of glucose intolerance. Most people don’t realize it, but diabetes is simply a much more severe case of glucose intolerance. So if you have glucose intolerance, you have a mild form of diabetes. And, even worse, you’re at a greater risk for retinopathy. So if your eye doctor says you have retinopathy, it’s time to make big changes in your diet. By the way, since retinopathy by definition is disease of the small arteries in your eyes, don’t think that the problem is limited to just the arteries of your eyes. It’s a body-wide problem. After all, diabetes is a major risk factor in heart disease. Do you have lots of abdominal fat, high triglycerides, high fasting insulin levels, or any degree of glucose intolerance? If so, please do everything you can to reduce your starch intake and eliminate all refined carbs. You could already have eye and artery disease without knowing it. If you have been diagnosed with diabetes, either type-1 or type-2, please do three things. One, read my book The Type 2 Diabetes Breakthrough and follow the detailed instructions I give in that book. Two, make sure you have regular eye examinations. And three, make sure you take these nutrients regularly. Cancer Epidemiol Biomarkers Prev, 2007; 16(5): 929-33; Invest Ophthalmol Vis Sci, 2007; 48(5). Br J Nutr, 2009; 101(2). Family Practice News 9-1-05; Presentation at the American Diabetes Association in San Diego, 2005. Cheng L, Zhang G, et al. Systematic review and meta-analysis of 16 randomized clinical trials of radix astragali and its prescriptions for diabetic retinopathy. Evid Based Complement Alternat Med. 2013;2013:762783.